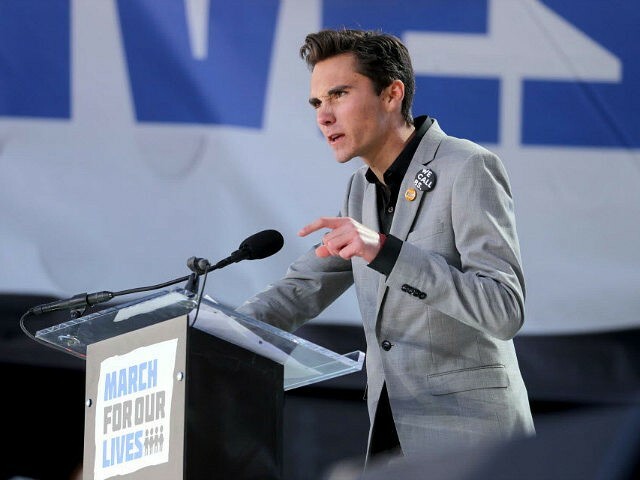 Gun control activist David Hogg reacted to the firearm attack in Jacksonville, Florida, by going after the NRA yet again. On August 26, 2018, Breitbart News reported that 24-year-old David Katz allegedly shot and killed two people and wounded nine others during a Madden 19 Tournament being held in a mall called Jacksonville Landing. Jacksonville Landing is a gun-free zone and prohibits concealed carry permit holders that would otherwise carry a firearm for self-defense. In this way, Jacksonville Landing is like Orlando Pulse (June 12, 2016) and Marjory Stoneman Douglas High School (February 14, 2018), both of which were gun-free zones. She’s a strong, smart and young leader standing up to violence and corruption in Washington D.C. Following the February 14 Parkland high school attack, and at gun controllers’ behest, Florida politicians put waiting periods in place for long gun purchases, raised the minimum rifle purchase age to 21, and adopted gun confiscation orders that empower police officers to take away firearms from those deemed to be a threat. None of these laws prevented Sunday’s shooting. In Maryland, the home state of the shooting suspect, “assault weapons” are banned, “high-capacity” magazines are banned, handgun purchasers have to submit fingerprints to state police. Moreover, would-be handgun buyers have to acquire a “Handgun Qualification License” before the purchase can be finalized. None of these laws prevented Sunday’s shooting either, so Hogg and his fellow gun controllers are pointing fingers at the NRA.